Now offering Vineyard View Gift Cards. Get yours Today ! Come drink in the view! 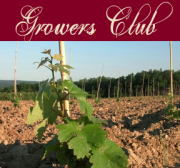 Become a member of our Growers’ Club and receive vintner’s choice of 1 to 3 seasonal vintages from Vineyard View Winery four times a year. There is no fee to register. 4 times a year in November, February, May and August. Pick up or have shipped to your door. To receive your shipments add this subscription to your shopping cart and complete the purchase. You will be sent a receipt with a zero balance confirming your membership. Your credit card will be billed at the time of each shipment.